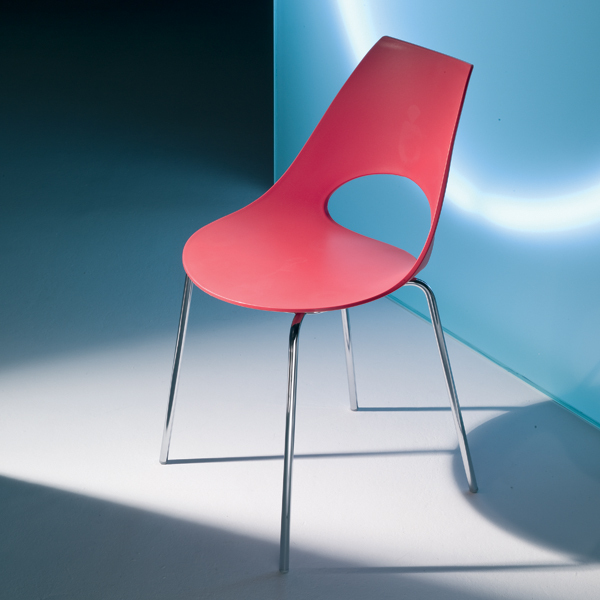 A striking modern dining chair with a figure-hugging seat made from moulded polypropylene. 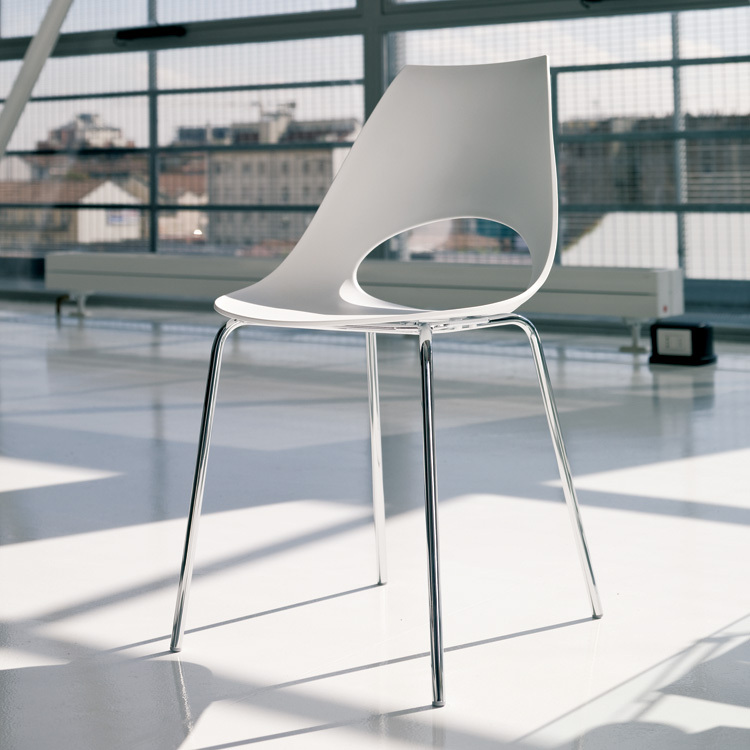 The legs are made from steel tube and are available with a matt aluminium or chromed finish. 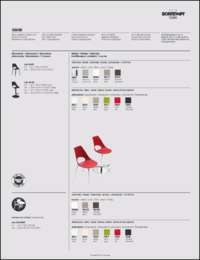 Also available with a sleigh-style base or leather cover, see related products below.